Now YOU can fly a P-40 Warhawk! Kissimmee, Florida based T-6 flight school, Warbird Adventures, Inc. and owner Thom Richard, have added the fully dual controlled, dual cockpit, Curtiss TP-40N Warhawk, ‘American Dream’ to their Warbird fleet. The aircraft is now based at the Kissimmee Gateway Airport (KISM) and will be used in transition training to fighters, and touring as a fully aerobatic airshow act. The mighty Warhawk will be available to fly for rated pilots and aspiring-pilots alike. 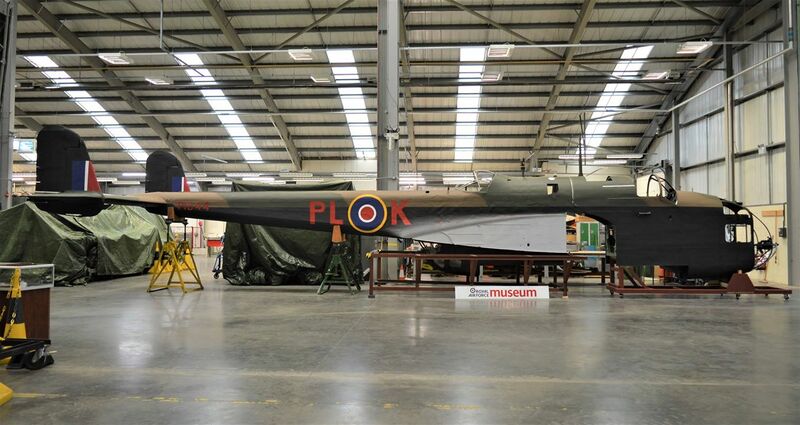 If your dream has always been to fly an iconic WWII fighter, here’s your opportunity to check that box. In addition to formal checkout training, introductory flights are available. There are only five TP-40’s known in existence today, and ‘American Dream’ is the only TP-40 in the world offering dual instruction on a commercial basis to the general public. 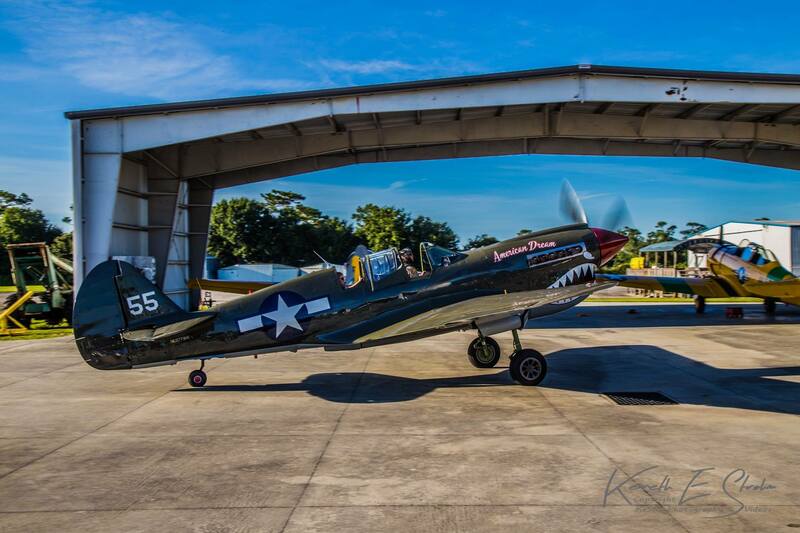 The addition of the classic fighter to the Warbird Adventures’ stable was unveiled at their Kissimmee facility on Aug 22 to an unsuspecting crowd. “We’re confident the addition of a dual controlled P-40 will benefit the Warbird industry tremendously to increase safety in an otherwise mostly single-seat environment. I’ve toured various fighters on the airshow circuit for years and I can’t tell you how many people have come up to me and told me the P-40 is their absolute favorite aircraft and they would do anything to fly one; Well, we’ve decided to do something to fulfill that dream!” – Thom Richard. Warbird Adventures is known worldwide for their first class T-6 training they have offered for over 20 years. 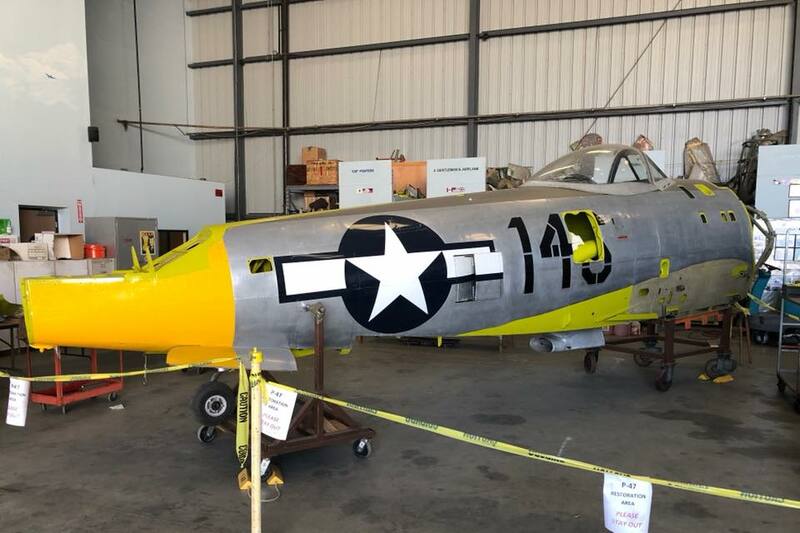 They also house the Kissimmee Air Museum, which consists of a constantly changing collection of various aircraft and other aviation-related exhibits. The facility is open to the public 9-5, Monday through Saturday.